The residential metal roofing industry has grown exponentially in recent years as property owners begin to realize the benefits that metal systems can bring to their home. Before selecting any roofing system, it’s imperative to learn about the product and its performance advantages over other types of roofing system. 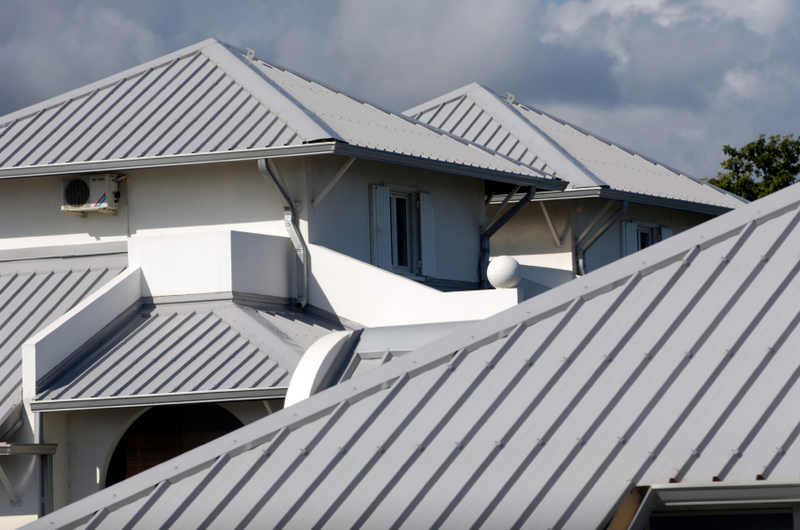 Here, we’ll outline the benefits that metal roofing offers over other materials. Asphalt roofing systems are known to begin to deteriorate from the moment they’re installed. They may last for 12 years or more but they won’t provide the extended durability that metal roofing systems offer. Metal systems are designed to last for several decades, and can withstand weather related issues that challenge the durability of products such as wood shingles and tiles. In addition, metal roofs will not suffer temperature related challenges that can affect concrete tiles during freeze and thaw cycles. It’s this high-level durability that brings long-term value to the metal roofing investment. A recent study from the Cool Metal Roofing Coalition showed that reflected metal roofing systems can help to reduce home energy bills by up-to 40%. While asphalt roofs absorb solar radiation into the property, thereby increasing the heat within the home during the summer months, metal systems help to reflect the sun’s rays and ensure that homes can be kept cooler more cost-effectively over the long-term. It’s the advantage that homeowners across Canada are searching for to ensure future energy savings. With the need to replace other roofing systems every 12-15 years, metal roofing offers clear benefits in terms of limited repair and maintenance costs. For example, over a 30-year period, homeowners may have to install at least two asphalt roof systems. While most metal systems are designed to last as long as 50 years. And because of the innate durability offered by metal systems, some insurance companies will even offer lower rates as a result of metal roofing installation. Costs effective and designed to last for several decades, metal roofing systems are the effective choice for modern homeowners. To learn more about metal systems and the various choices available through our comprehensive catalogue, contact us directly today. This entry was posted in Metal Roofing, Roofing, Roofing Advice and tagged advantages of metal roofing, durable metal roofing, energy efficient metal roofing, metal roofing benefits, metal roofing guide, metal roofing tips. Bookmark the permalink.